A group of young people will connect with their faith by retracing the steps of an ancient Celtic saint as they walk, row and swim 75 miles across rural Argyll. 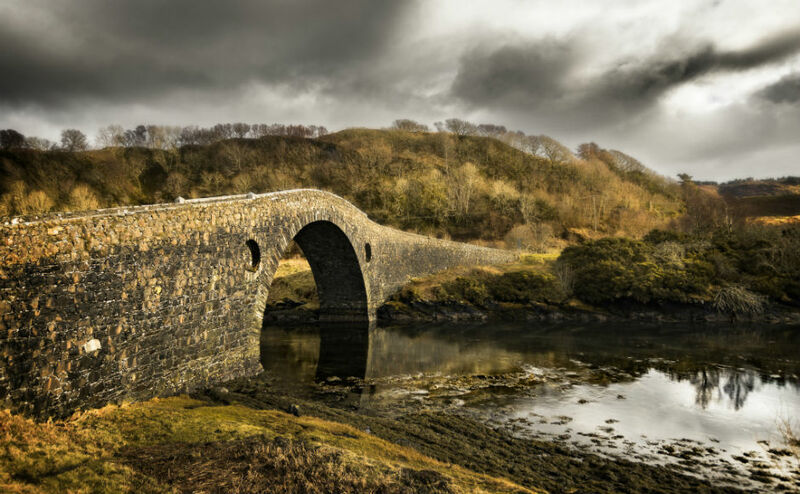 Beginning in Tarbert and finishing in Oban, at the end of June they will follow part of the route of St Columba, who travelled to the area in the 6th century eventually ending his journey in Iona. As part of their 'Columba Experience' they will learn about the history of the area and visit some of the oldest standing stones in the British Isles, as well visit an area where beavers have been reintroduced to Scotland. On the final day they will witness a sea immersion baptism, the kind of baptism a disciple of St Columba might have experienced. Each night parish churches have offered to host the group, who are aged between 16 and 24 and will be accompanied group leaders and even an artist in residence. At Kilmartin, capital of the ancient kingdom of Dalriada, they will be shown the history of the area and looked after by members of the Christian Community. The expedition is being organised by the Presbytery of Argyll Youth Team, as a way to mark Scotland's Year of Young People. 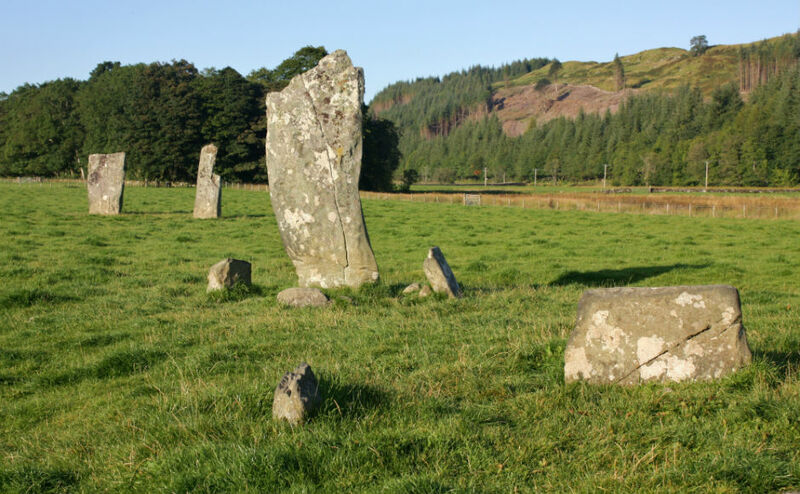 Argyll Presbytery's motto, 'From standing stones to living stones'connects the region's historic legacy of carved stones to the biblical 'living stones' that form God's spiritual home on earth. The young people plan to share their faith journey with their hosts and other people they meet during lunch stops at pubs or hotels. Supporters and friends will be able to follow their progress through social media posts. The 'Bridge Over the Atlantic'. Photo by Neil Wlliamson. Part of the trip will involve 'swimming the Atlantic' - navigating a narrow gap between the mainland and the island of Seil. Entertainment at different parts of the route will be provided by the Very Rev Albert Bogle along with his band. Organiser Kenny Wilson, who is a Church of Scotland Youth Advisor, explained that the presbytery wanted something "different from the usual camps" that are run for young people. "We want the young people to experience the kind of things Columba himself would have experienced," he said. "He came to share faith with the kingdom of Dalriada and we want and we want the and we the young people to do the same. "They're not just going to be sharing their faith with people of faith, but also those of no faith"
"On the last day we're going to do a sea baptism - a demonstration of how people may have been baptised in the sea 1500 years ago. "It's a way of touching base with some of the 'thin' places on the West Coast." Some of the trip will be "quite strenuous", he says, but will offer a unique chance to learn about the religious significance of the area. Locally the idea has proved popular, with a sea- water rowing group even offering to take those on the trip out for a few hours. Mr Wilson said: "We visited the parishes that we would pass through to speak to the ministers and congregants in each church and they all enquired 'where are you going to stay? we'll put you up!'" If you are aged 18-24 and interested in joining the trip there are still some free places available. To apply email Kenny Wilson from the Argyll Presbytery Youth Team. The trip runs from 23 - 30th June and is free, with any travel expenses incurred reimbursable.